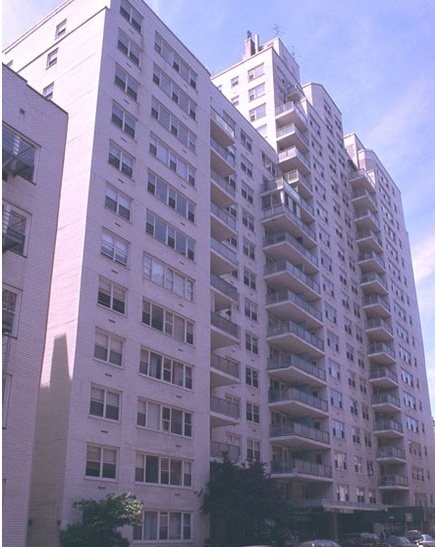 400 East 77th Street is located in Upper East Side of Manhattan. Please complete and sign Affidavit as to Net Worth and Income. Form must be notarized. Please complete and sign Acknowledgement of Subleasing Policy. Must be signed by purchaser(s). Please upload Latest Two Years Federal Income Tax Returns. Must Include all schedules & pages, and be signed. Applications submitted after April 15th must include most recent tax return or a copy of your extension and the tax return for the previous year. Please redact all but the last 4 digits of the social security numbers. Please upload Bank Statement(s) for all Accounts (past six (6) months). Provide all pages of each statement, including blank pages and copies of cleared checks. Redact all but the last 3 digits of the account number. Please upload Statement from the Applicant(s) explaining in detail the source of funds used for the purchase of the apartment. Please upload Statement from the Applicant(s) detailing their Educational Background and their previous 5 year Employment History. Please upload Last 2 Years Federal Income Tax Returns. Must Include all schedules & pages, and be signed. Applications submitted after April 15th must include most recent tax return or a copy of your extension and the tax return for the previous year. Please redact all but the last 4 digits of the social security numbers. Please upload Last 2 Years W2 Forms and/or 1099 Forms. Please redact all but the last 4 digits of the social security numbers. Please upload Bank Statement(s) for all Accounts (past two (2) months). Provide all pages of each statement, including blank pages and copies of cleared checks. Please redact all but the last 3 digits of the account number. Please redact all but the last 3 digits of the account number. Please upload photocopy of valid government issued photo I.D. for all adult occupants. Please upload Statement from applicant(s) detailing their Education Background and their previous 5 years Employment History. Please upload Letter from the Shareholder stating the reason for subletting. Please upload Copy of Consent to Sublet from the Shareholder's lending institution or Letter from the shareholder verifying that there is no financing on the apartment.